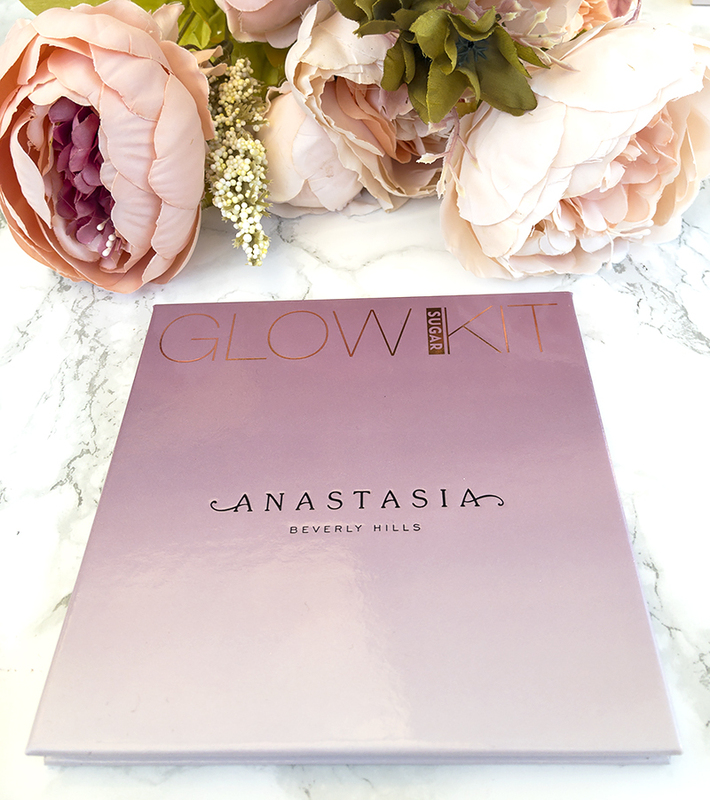 The Sugar Glow Kit is a limited edition highlighter palette by Anastasia Beverly Hills, containing four highlighting powders. The shades range from sugary pinks to soft bronzes; full of golden, peach and rosy undertones. 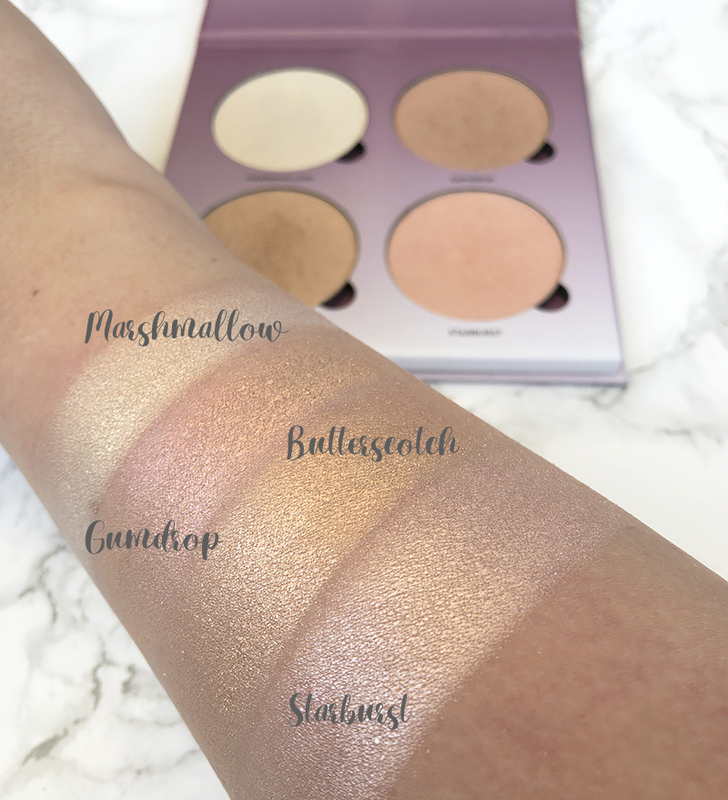 Most of these shades have already featured in previous Glow Kit editions; all expect Gumdrop which is an entirely new, chromatic shade and probably the most interesting one in the palette. According to the ABH website, these powders can be applied dry or wet depending on the intensity you want to achieve, and can be used on your face as well as the body. The Sugar Glow Kit is also vegan and cruelty-free, which is a huge plus as I've been trying to be much more conscious with my makeup choices lately. Marshmallow - glimmering white pearl. This is a fairly bright, white shade with some lovely gold undertones. It looks quite subtle when applied on the cheekbones. Gumdrop - chromatic pink lilac. This is one of the most beautiful and unusual highlighters that I've ever seen. It's a sparkling shade that transcends from gold to pink, depending on the angle. Honestly, the photo doesn't do it justice - it looks so pretty when applied, giving you that truly multidimensional glow. Starburst - icy pink. This is a cool, frosty pink that looks lovely when combined with Marshmallow. Just like every other shade in this palette, it gives a delicate glow; but you can easily build it up to achieve a more intense, dramatic effect. Butterscotch - shimmery honey gold. I was a little worried about this shade, as yellow undertones don't typically agree with my pale skin. However, this is a gorgeous colour that really 'melts in' with the skin, giving you a soft, effortless glow. Overall, I am very happy with this palette and I've been using it nearly every day. The quality of the highlighters is absolutely top-notch, as would be expected for the price. I love the creamy formula, the shade range and the longevity (about eight to ten hours with a setting spray). 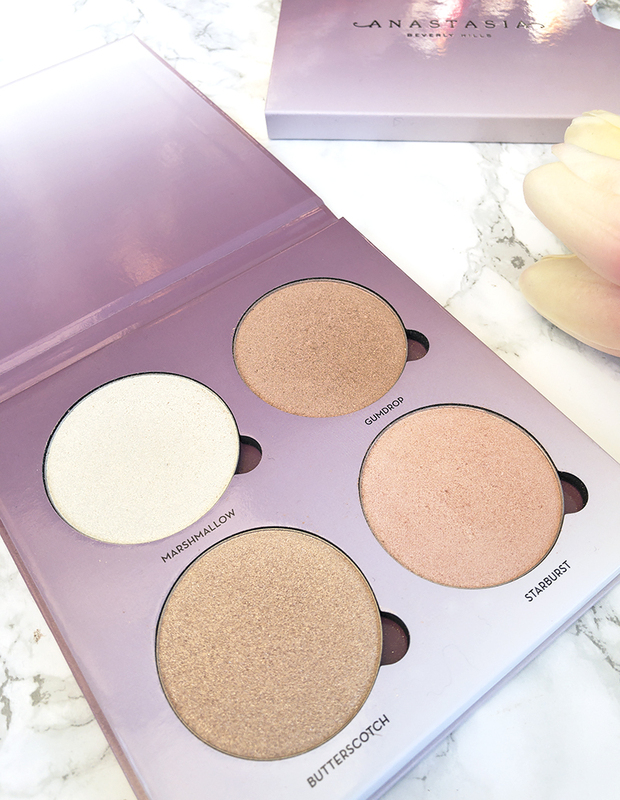 I actually think that this would be a brilliant starter palette if you are just getting into highlighters, because of how buildable and easy to work with these powders are. 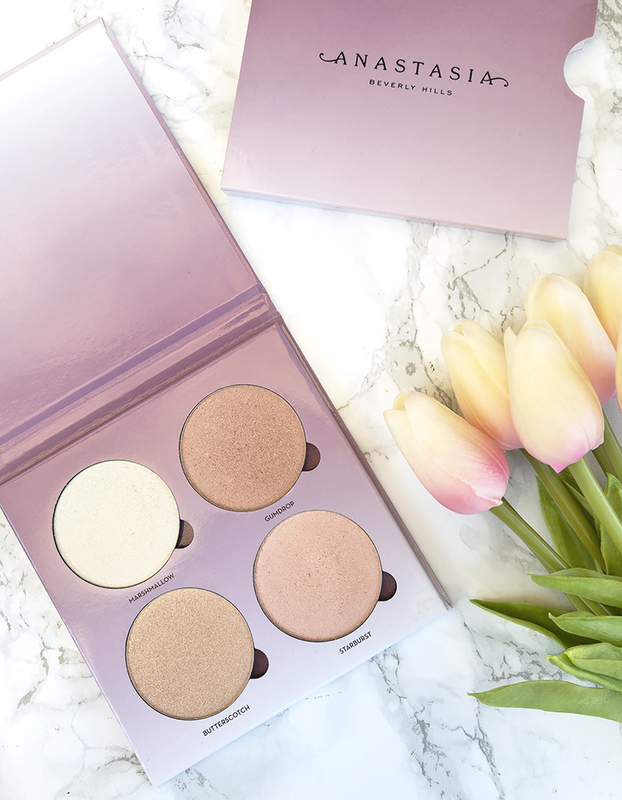 As a little thank you for all the love and support on my blog, I am giving away one of these gorgeous Sugar Glow Kit highlighter palettes by Anastasia Beverly Hills. I absolutely love this palette and I am sure that many of you would, too; however, as it is fairly pricey I thought I'd give one away to a lucky winner! ♥ The giveaway will run from 11th January 2018 to 21st February 2018. The winner will be announced the following day in this post. You can enter the giveaway using the Rafflecopter widget below. All you need to do is follow me on bloglovin', and leave a comment in this post letting me know what you're looking forward to the most in 2018 (for me, it'll be our anniversary holiday to Tenerife in June!). For additional chances to win, you can also follow me on Twitter and Instagram. This is completely optional, but it will give you additional entries and more chances to win!